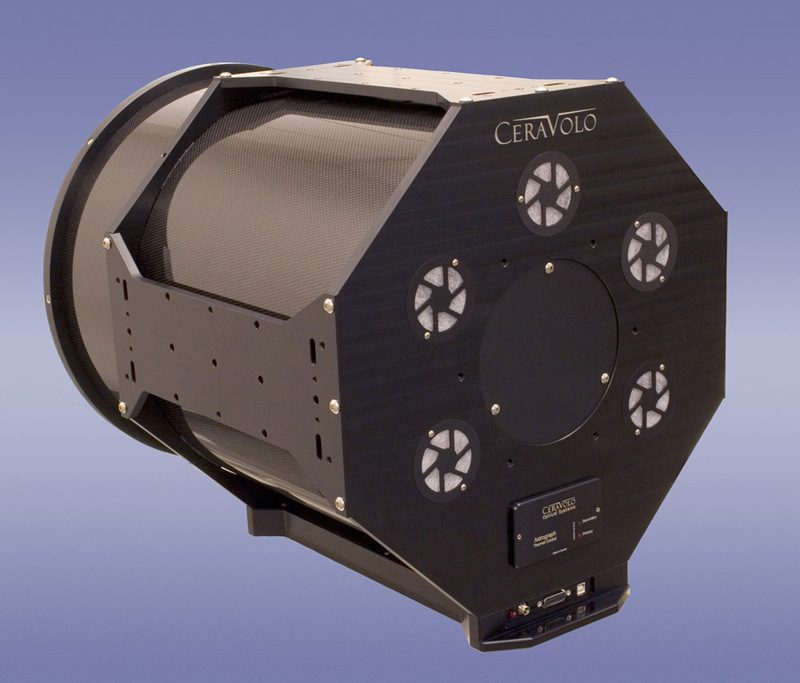 Telescopes often operate under non-ideal environmental conditions, and are subject to large day/night temperature swings. As such, they are prone to moisture condensing on the optics (dew formation), and require cool-down periods to stabilize with the ambient temperature. Even in arid regions, dew formation from moist seasonal air masses can ruin an otherwise fine night of imaging. Acidic dew caused by pollutants will also degrade sensitive mirror coatings. 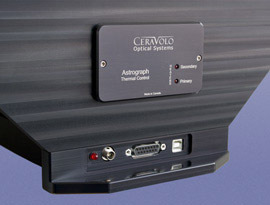 The Ceravolo Astrograph was designed from the start with autonomous thermal, focuser and auxiliary equipment control in mind. The controller board is integrated within the baseplate of the astrograph to minimize external wiring. 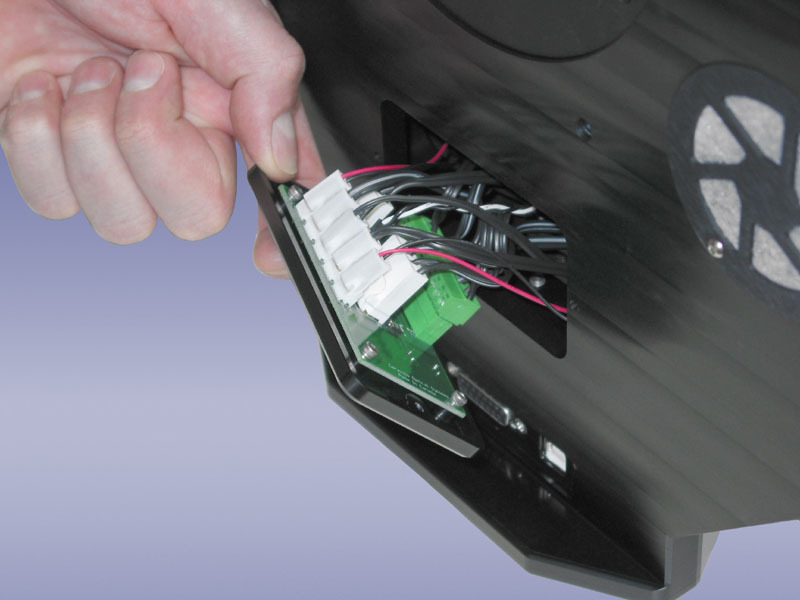 The optical tube assembly's internal wiring layout is modular and optimized for ease of disassembly. All power and thermistor connections are channeled through the OTA Electronics Hub board. Quick release connectors make dismantling the system for optics cleaning easy. • Focuser stepper motor control via computer. • 2nd stepper motor controller for peripherals. • Thermistors for primary and secondary mirrors and ambient air temperature. • USB computer interface and 12V power cables. 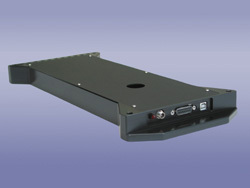 • Heavy duty base plate mount. • OTA Electronics Hub modular wiring system. • Temperature, heater and fan status window display. eliminate condensation and minimize tube currents. • OTA fan activation when optics are above ambient temperature. • ASCOM compliant focuser control. Download the latest controller software.